Can Nausea be a Symptom of IBS? The two most well-known symptoms of irritable bowel syndrome (IBS) are diarrhea and constipation. However, many people who have IBS also have the symptom of nausea. Nausea is a symptom that can also be described as a feeling of queasiness, or having an upset stomach. Feeling nauseous can sometimes make people feel like they are going to vomit, but not all nausea causes this feeling. Like most symptoms of IBS, people with IBS do not generally feel nauseous all of the time, but dealing with nausea can affect your quality of life and make it difficult to work and to carry out daily activities. 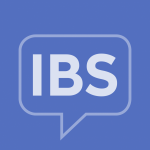 How common is nausea among people with IBS? In many cases, people experience nausea after eating certain trigger foods that can cause bloating, abdominal pain, and fullness. Living with IBS can be very stressful at times, and feeling stressed can also cause feelings of nausea. How can nausea be treated? If your nausea tends to be caused by eating certain trigger foods, then identifying those foods and trying to avoid them can be an effective strategy. Your healthcare provider may advise you to keep a diary that tracks the food you eat along with when you experience nausea. Common trigger foods for many people with IBS include alcohol, dairy products, fatty or fried foods, and caffeine. It may also be helpful to avoid foods that tend to cause gas, such as beans or broccoli, because the gas can cause nausea. If your nausea is due to a side effect of medication, your healthcare provider can advise you about other types of medications that do not tend to cause nausea. People who tend to experience nausea during times of stress may find relief by using stress management strategies, such as meditation or relaxation techniques. For people with nausea caused by another medical condition that overlaps with IBS, treating that other condition can alleviate the nausea. For example, acid-suppressing medications can be used to treat GERD and heartburn, and migraine medications can help reduce nausea associated with migraine headaches. For people with frequent and/or severe nausea, there are medications that can be used to treat nausea specifically, such as prochlorperazine. Other people find that supplements are effective in reducing nausea, such as peppermint oil, ginger, and/or probiotics. However, it is very important to consult with your healthcare provider before starting to take any type of supplement, because they can potentially interact in dangerous ways with other types of medications or treatments.